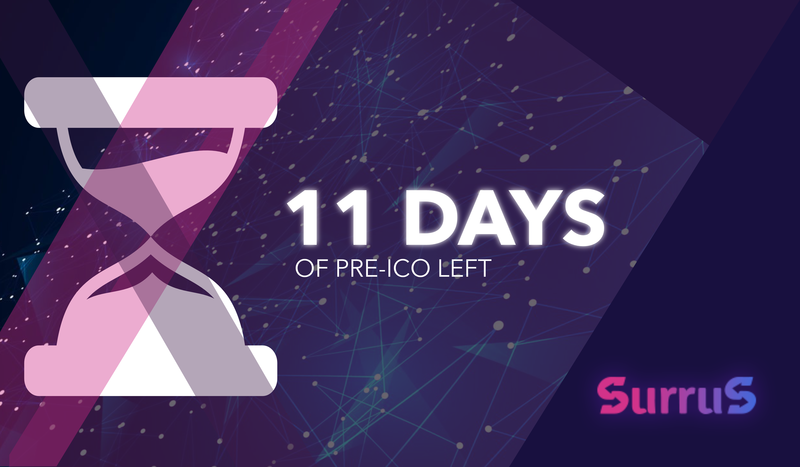 ⏰ 11 Days Of Pre-ICO Left! 1️⃣ Pay for your car theft insurance policy as soon as SurruS is deployed in your city. See Roadmap to check out the dates. 2️⃣ Sell them on exchanges. SURR will be listed in September – in a month after the end of ICO. 3️⃣ Exchange your SURR tokens for SRS security tokens and start to get a share in the company’s revenue. SRS tokens are to be issued after the ICO. Early investors will be the first ones to gain access to them. SRS tokenholders will receive payments as long as SurruS is successfully operating. SurruS pre-sale is live until May, 31. Don’t miss out on a 25% bonus!